"According to the government, until it has a better understanding of hydraulic fracturing, it cannot determine whether risk assessments and control measures are warranted," wrote Vaughan. Each shale gas well uses between 55,000 and 200,000 litres of chemical cocktail. In B.C. alone, 7,300 wells have been fractured since 2005, and between 500 and a 1,000 new ones are being permitted each year. Ottawa will finish a review on fracking in March 2014. The fracking mention in Vaughan's report is in keeping with its theme that "environmental protection may not be keeping pace with resource development." "We know that there's a boom in natural resources in this country and I think what we need now, given the gaps, given the problems we found, is a boom in environmental protection in this country as well," said Vaughan at a news conference after the release of his report. 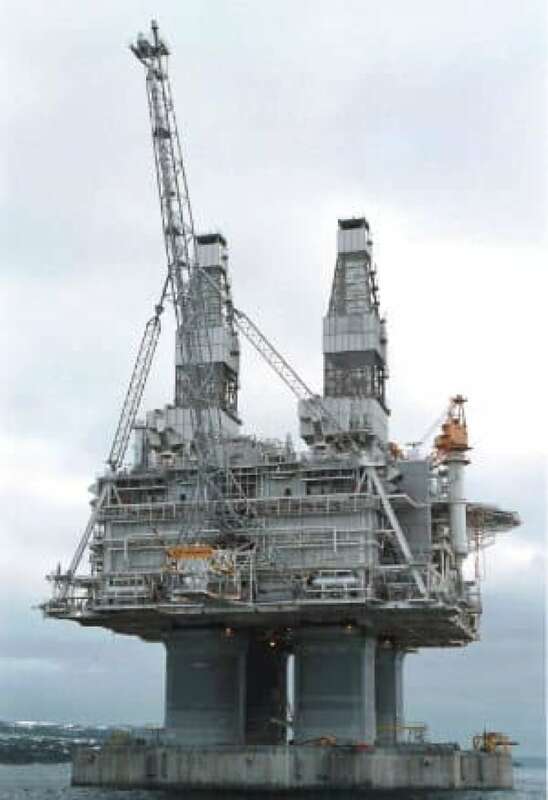 Another example of government regulation lagging the pace of resource development was in the area of offshore oil and gas. Vaughan pointed out two striking examples. He found two offshore petroleum boards in Atlantic Canada were not adequately prepared to take control of a potential spill. In particular, Vaughan pointed to the Canada-Newfoundland and Labrador Offshore Petroleum Board (C-NLOPB). The board "has yet to complete its review of operators’ spill response capabilities and, therefore, does not have adequate assurance that operators are ready to respond effectively to a spill," wrote Vaughan. The commissioner also found that fines for damages caused by spills or other industrial accidents are woefully outdated and inadequate. He noted they are much lower than in other countries. The government has hinted this is about to change. "I can’t break cabinet confidence, but I can assure you we are well aware, not only as it pertains to diversifying markets and increased pipeline traffic, but in terms of liability for offshore drilling," Environment Minister Peter Kent said last week. Still, the opposition parties and environmental critics finds Vaughan's comments disturbing. "There is a profound lack of information here, a lack of co-ordination of that information and a profound lack of follow-through by this government," said NDP environment critic Megan Leslie. "You hear the government talk a lot about responsible resource development," said Clare Demerse, director of federal policy at the Pembina Institute. What the environment commissioner is saying today is that it's still "just a slogan, it's not yet a reality," said Demerse. Green Party leader Elizabeth May said Bill C-38 and Bill C-45 — the two omnibus budget implementation bills — have created "tremendous confusion." "The failure to have strong environmental protections in place when you're entering a period of rampant resource development at a breakneck pace" is akin to "inviting economic disaster as well as environmental loss," said May. There currently is no liability cap when a company is at fault. But if there is no negligence, the top cap is $30 million in the Atlantic and $40 million in the Arctic. The rest of the tab is picked up by taxpayers. Sources suggested to the CBC that the new caps would be "in the billions." "If you're an oil and gas company and you don't have to worry about the risks, then the planning for those accidents is going to be a lower priority," said Ted Hsu, the Liberal natural resources critic. "So what we've got to do is eliminate the moral hazard of taxpayers covering the liability for oil and gas drilling companies." During Tuesday's question period, interim Liberal leader Bob Rae asked the prime minister if he agreed with the report's conclusions. Prime Minister Stephen Harper said, "the government has already been clear that responsible resource development means that as we see the growth in resource development ... there will have to be enhanced measures of environmental protection." The government took some measures over the course of the past year and has indicated, in a number of areas, it intends to take additional measures. It will be a useful piece of advice as we move forward with these additional measures," said Harper. The report had two other chapters on federal support for the fossil fuel sector and marine protected areas. Vaughan calculated Ottawa gave the oil and gas industry nearly $4 billion in tax rebates between 2006 and 2011. Nearly half of that amount will be phased out in the next four years. Vaughan’s last day as commissioner of the environment and sustainable development is March 31. He will then take over as president and CEO of the International Institute for Sustainable Development.